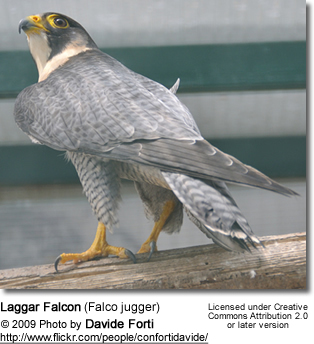 The Laggar Falcon (Falco jugger) is a mid-sized bird of prey which occurs in the Indian subcontinent from extreme south-east Iran, south-east Afghanistan, Pakistan, through India, Nepal, Bhutan, Bangladesh and north-west Myanmar. It resembles the Lanner Falcon but is darker overall, and has blackish "trousers" (tibiotarsus feathers - the tibiotarsus is the large bone between the femur and the tarsometatarsus in the leg of a bird.). 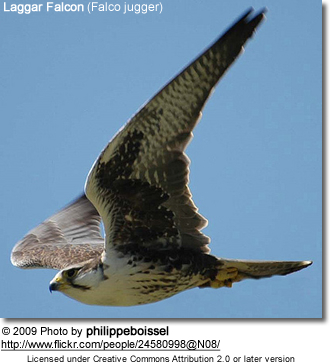 Fledglings have an almost entirely dark underside, and first-year subadult birds still retain much dark on the belly. This species belongs to a close-knit complex of falcons known as hierofalcons. In this group, there is ample evidence for rampant hybridization and incomplete lineage sorting which confounds analyses of DNA sequence data to a massive extent; molecular studies with small sample sizes can simply not be expected to yield reliable conclusions in the entire hierofalcon group. The radiation of the entire living diversity of hierofalcons seems to have taken place in the Eemian interglacial at the start of the Late Pleistocene, a mere 130,000-115,000 years ago; the Laggar Falcon represents a lineage that arrived at its present range out of eastern Africa by way of the Arabian Peninsula which during that time had a more humid climate than today. 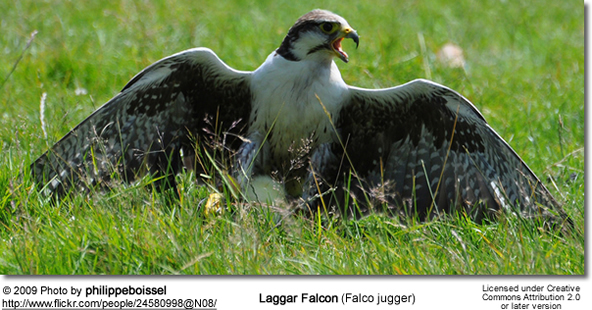 Laggar Falcons used to be the most common falcons in the region, but numbers have declined markedly in recent times and today it is probably nowhere a common species anymore. 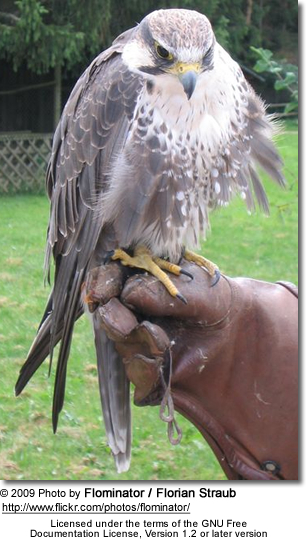 The main threats are the intensification of pesticide use in the region and use as a decoy to trap large falcons.